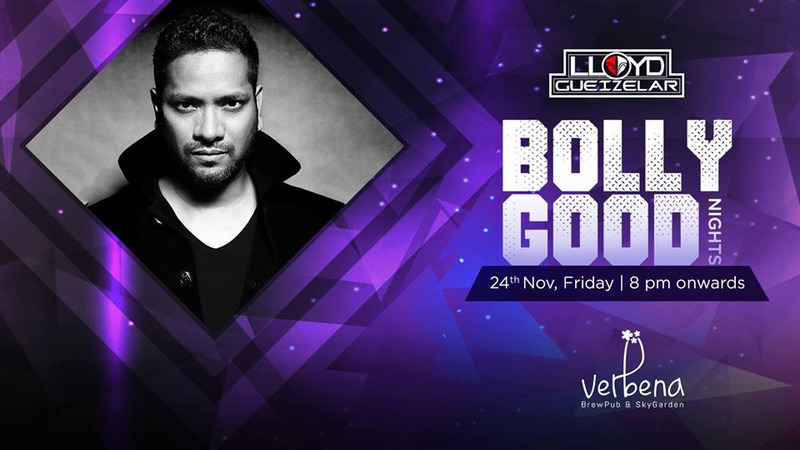 Verbena - BrewPub & SkyGarden presents BollyGood Night with DJ Lloyd - The Bombay Bounce on 3rd November, 2017 from 8pm. You could dance on the best of Bollywood music and woot all night away for it is the biggest Bollywood night in town. For reservations, call on - 9820695034. This event is on 8th Dec, 15th Dec, 22nd Dec and 29th Dec.